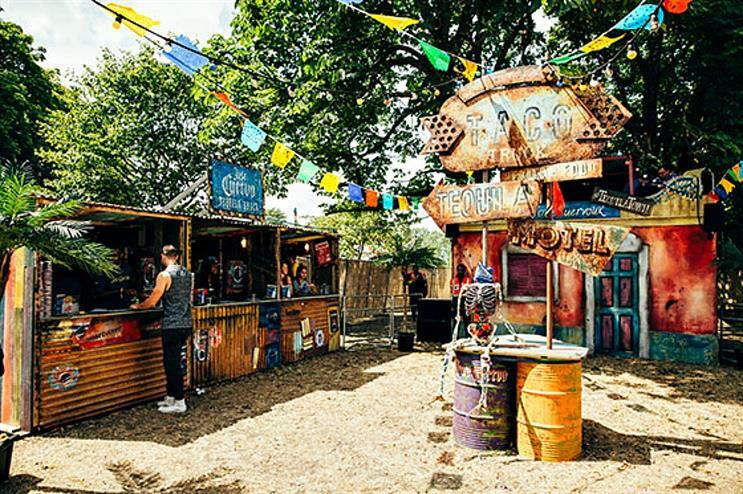 Jose Cuervo will be hosting its Tequila Town pop-up at Lovebox, Citadel and Wilderness festival this summer. Jose Cuervo’s pop-up aims to transport festival goers to a Mexican hacienda by playing summery music, serving Mexican street food by Breddos Tacos and tequila-based cocktails, including the Jose Cuervo Frozen Margarita and Mexican Beachcomber. Evenings at Tequila Town will feature live DJ sets. Last year, Jose Cuervo launched an immersive installation, inspired by the Rolling Stones' 1972 North American tour, at John F Kennedy (JFK) Airport in New York. For more activations and experiential campaigns in London, download our latest report, London's Experiential Playground.